Three exceptional cash-in-transit couriers have been recognised by the British Security Industry Association (BSIA) with Special Awards for Outstanding Service. The awards, sponsored by Security Plus Ltd, acknowledge the outstanding courage and level-headedness displayed by cash-in-transit couriers when faced with exceptional, challenging or dangerous situations. Alan Duckworth of G4S Cash Solutions UK Ltd was awarded for the way he handled an attack during a cash delivery at a bank in Heywood. As the courier was completing the collection and delivery of cash containers inside the bank, two men ran into the hall brandishing knifes in an attempt to take a cash bag from Alan’s hands. Refusing to hand over the bag, Alan was subjected to a sustained attack by the two thugs, who even slashed his arm in order to loosen his grip. Despite the injury, Alan continued to fight off the attackers, who had no choice but to eventually flee the scene empty handed. Upon the arrival of the emergency services, Alan was taken to hospital, where he was treated for his injuries. The courier’s brave and focussed actions resulted in the situation remaining under control and a nil loss for the customer. 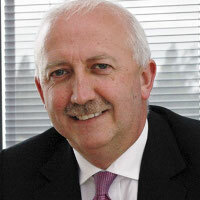 Stephen Fearn of G4S Cash Solutions UK Ltd kept composure and a clear mind during an attack in Kent. The courier was close to completing his delivery at a bank, when an armed man ran into the hall. The attacker was acting very aggressively and demanded for a cash box to be opened, which was empty. Shortly after the man left, Police arrived at the scene and, within two hours, successfully identified the attacker, who was later remanded in custody. Throughout the distressing situation, Stephen remained calm and composed, effectively applying his Personal Protection Training, helping the banking staff deal with the situation, and ensuring it was kept under control. David Hulland, Post Office Ltd – Cash Services, won the award for the brave, compassionate and professional actions he took whilst driving to work in March 2011. The crew member was on his way to complete his CVIT duties when he noticed a man standing on a bridge and preparing to jump. Acting instinctively, David stopped his car and approached the man, initially talking to him and then, when his intentions became apparent, physically restraining him and successfully preventing him from jumping. Quick thinking and sound judgement are qualities essential to the role of CVIT crew, however it was David’s personal qualities that drove him to do the right thing and stop to help the man that morning. David saved the man’s life and his actions also won him recognition from the Chief Constable of Staffordshire Police himself. 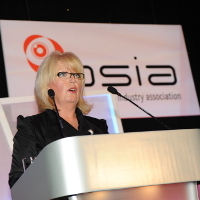 The Special Awards for Outstanding Service were presented to the couriers by Baroness Helen Newlove, the government’s Champion for Active Safer Communities, at the BSIA’s annual luncheon, which took place today (27th June) at the London Hilton, Park Lane.